← Help! I Accidentally Cracked My Dental Crown! Dental technology has advanced significantly in the past twenty years. Digital X-rays are a good example. Today, Dr. Stone can see much more detail when it comes to things like hairline cracks and other issues. There have been some specific advances with regard to crowning teeth. The resin is much more advanced. It lasts longer and looks better. In fact, Dr. Stone can sometimes use layers of resin to repair cracks and chips. That same resin also cements the crown to the tooth. As a result, crowns look a lot better and last a lot longer than they did twenty years ago. Moreover, crowning teeth today is much easier than it was in the old days. Crowns are usually either all-metal or all-porcelain, although some are a combination of the two. In these cases, the laboratory bakes the porcelain onto the metal, sort of the way construction workers make bathroom sinks. Metal crowns work best on incisors and other back teeth that do lots of grinding. Porcelain crowns look better, and work better, on front teeth. Sometimes, two or more teeth need work in the same part of the mouth. In these situations, Dr. Stone can usually use bridges. In both these procedures, Dr. Stone must sometimes remove part of your natural crown. Otherwise, the gum reacts to the resin as if it was tartar and retreats. A receding gum line could lead to future periodontal disease. Walking around with reduced enamel and a damaged tooth is no good. 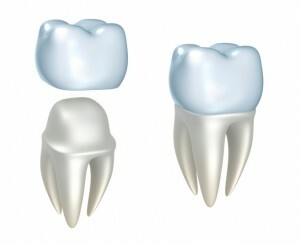 So, Dr. Stone places a temporary crown on the tooth until the laboratory makes the finished crown. Milled crowns may be the next big thing. Dentists have used this material since the 1990s, but it’s only appeared in crowns very recently. They are made from zirconium, which is very strong and durable. It is also biocompatible, so it’s commonly used in finger, ear, and other prosthetics. Milled crowns bond to teeth very well and, since they have no metal, many people say they look better. But we may not quite be there yet. Milled crowns have a much higher failure rate than porcelain or metal crowns. That’s probably because the method is not as well-established. Furthermore, Dr. Stone must usually remove more existing tooth surface to make room for milled crowns. When it comes to crowning teeth, we usually prefer the least invasive, and therefore least expensive, method available. A well-placed crown can contribute a healthy, even, attractive smile. 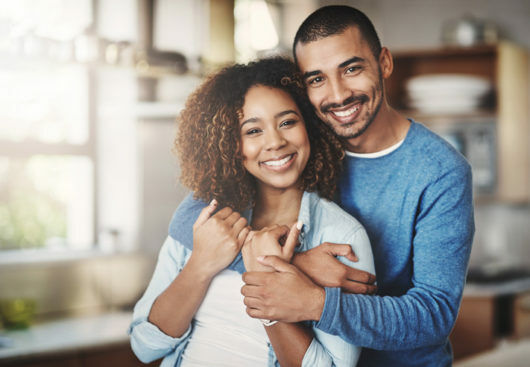 So, take advantage of some recent advances in dental crowns and call Dr. Stone today.